Size (in inches): 3", 6", 5", 2", 4"
We are a manufacturer and exporter of Metal Hinges, wrought iron components such as, forged rail heads, baskets, collars, bushes, forged centerpieces, sheet metal leaves, cast products, panels, bow bars, pergolas, ready made gates and Grills. We are looking foreign queries from South Africa, European counties & USA. We are well known manufacturer, supplier and service provider of this industry. 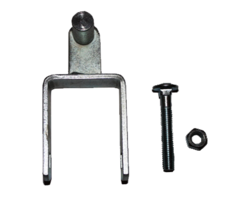 Our offered Zinc Hinges are manufactured by using premium quality raw material. Offered Zinc Hinge is extensively used in furniture making industry. Backed by a skilled team of personnel, we are highly affianced in providing an elite range of Metal Hinges for valued clients. 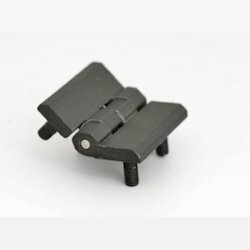 Description: The Bella is a fully covered, Single Action Hinges that features the same strength and load capacity found in all of our hinges, but at half the size. The Bella boasts slotted holes for ease of installation, with a minimalistic design that brings a subdued beauty to any shower system.